Tuesday April 16, 2019-Former Kakamega Senator, Boni Khalwale, has revealed intimate details of the events that led him and other like-minded politicians to support Raila Odinga's candidature in 2017. 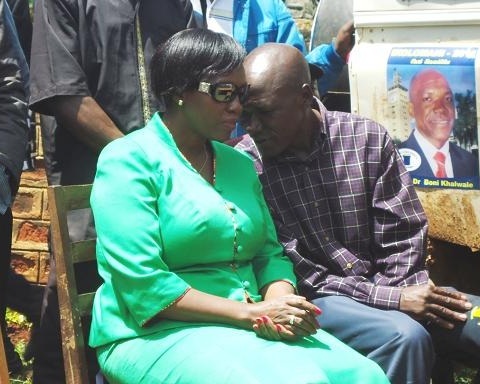 Khalwale noted that they were persuaded to settle for Raila's candidacy by the then NASA strategist, David Ndii, and former Machakos Senator, Johnstone Muthama, but they were not for Raila initially. He remarked that Muthama even used scientific methods to persuade them to settle for Raila during their retreat in Zanzibar. "It is true that David Ndii, vehemently persuaded us (including using scientific methods) to settle on Raila Odinga candidacy and when it wasn't yielding, Nduya Muthama flew us to Zanzibar on a retreat where one of the co-principals cracked the puzzle," said Khalwale in a tweet. Khalwale's remarks come following Ndii's recent tweets that he was only focused on fielding a united strong opposition but that he did not settle on Raila candidacy as speculated earlier by many. "I'm not a Raila groupie. I volunteered to field a united opposition platform in 2017, as I stated here. Raila was our best candidate, but honestly, best of a bad lot," read Ndii's tweet.